Created in October 2016 with the support of La Chaîne de l’Espoir / Keten van Hoop Belgie, the young association Chaîne de l’Espoir Luxembourg has settled in the Grand Duchy, in the heart of Europe. It is headed by an orthopaedic surgeon, Dr Jerry Kieffer, and a paediatric cardiologist, Dr Kerstin Wagner. The mission of Chaîne de l’Espoir Luxembourg is to save children on the other side of the world. 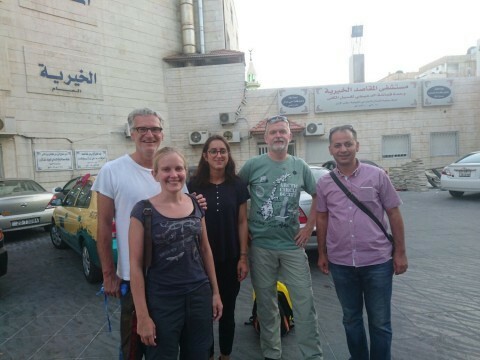 Luxembourg teams are mobilising abroad first, around international missions such as Jordan, where Jerry Kieffer is about to carry out his third mission as part of the orthopaedic surgery programme for Syrian children of La Chaîne de l’Espoir (France) financed by the European Civil Protection and Humanitarian Aid Operations (ECHO). In Luxembourg, children coming from foreign countries and suffering from orthopaedic-related pathologies are operated on by Luxembourg surgeons and welcomed by volunteer host families. Heart patients are treated in Belgium. La Chaîne de l’Espoir / Chain of Hope – Europe is happy and excited to welcome its sixth member, thus expanding its network of associations in Europe. >> To learn more about the actions of Chaine de l’Espoir Luxembourg, click here.